Cultured pearls are some of the most impressive organic gems available on the jewelry market. Along the years, the pearl production process has been optimized so that we can now get bigger and better pearls. The quality of the pearls can also be increased by improving the culture process, which means that we now have access to more valuable gems. Take a look at these amazing facts about cultured pearls to get a better idea of just how impressive these organic gems can be! 1. What are cultured pearls and how are they different from natural pearls? Cultured pearls are produced by oysters under controlled environmental conditions. Oyster pearl farms are created to get the best possible pearls. The environment is adapted to stimulate and optimize the development of the oysters so that they produce the best possible pearls. As opposed to natural pearls that grow in the wild, cultured pearls are grown in man-made farms. 2. Cultured pearls are not artificial. This is a very important disambiguation that we would like to make. Cultured pearls are entirely different from artificial ones. While cultured pearls are grown in mussel farms and come from real oysters, artificial ones are created in laboratories and they are 100% man-made. They are commonly made from plastic, glass, and even oyster shells. 3. Cultured pearls are real and they are extremely valuable. “Are cultured pearls real?” This is one of the most common questions about these types of pearls. In fact, it is a common misconception that cultured pearls are less valuable than natural ones. In reality, these could even prove to be more valuable than natural ones because the environment of the mussels can be artificially optimized to augment pearl production. Some people avoid buying cultured pearls because of the common misconception that these are fake. This is the main reason why natural pearls are still in great demand at the moment. In reality, there is no reason why a cultured pearl necklace would be less valuable than a natural pearl piece because the natural production process that leads to the creation of the pearl is the same. The only difference is that cultured pearls are grown in farms, while natural ones are collected from the wild. It is very important that you remember that there is no difference between freshwater and cultured pearls. Freshwater pearls can be both natural and cultured. As for cultured pearls, these can be both freshwater and saltwater. The reason for this false competition is that people consider cultured pearls to be fake. In fact, freshwater cultured pearls could prove to be extremely valuable precisely because the environment of the mussels can be optimized and the pearls can be of greater value. 6. Natural vs Cultured Pearls – Can we really tell the difference? It is impossible to tell the difference between natural and cultured pearls with the naked eye. There are quite a few techniques available today that can help jewelers figure out if they are dealing with natural pearls or cultured ones. The most important one of these techniques is X-ray testing, which can study the nucleus of the pearls. Another popular technique features the use of lasers to study the nucleus. This is the modern version of the drill hole investigation method which was used by jewelers in the past. 7. Cultured pearls can be extracted from oysters without killing them. Cultured pearls are produced inside oysters. But they can be extracted from the mussels without causing harm to the mollusks. In fact, this is one of the main objectives of modern periculture (the term used to define culture pearl farming). The extraction techniques have been perfected with the aim of prolonging the life of the oysters. 8. Tahitian cultured pearls are the most appreciated dark colored natural gems on the market. Cultured Tahitian pearls are some of the largest pearls on the jewelry market. They are considerably larger than the rest of the pearl series, which makes them more valuable than the traditional white pearl. But this is not the only impressive feature that these breathtakingly beautiful gems have. They also come in a wide variety of dark colors, ranging from dark gray to intense black. They also have a diverse specter of metallic overtones, which makes Tahitian cultured pearls extremely appreciated. 9. 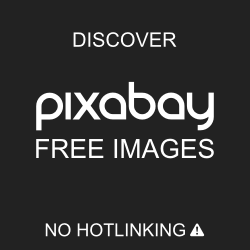 Freshwater cultured pearls are produced by freshwater mussels. China is currently the largest exporter of cultured freshwater pearls in the entire world. The outstanding organic gems are impressively versatile in size and shape. Whether round or baroque, small or large, freshwater pearls are extremely appreciated on the jewelry market. They are easy to use in jewelry production and they come at a very accessible price. Freshwater pearl necklaces are immensely popular because they are a classic symbol of beauty and grace. Baroque pearl jewelry is also extremely appreciated because it provides a modern alternative to classic pearl pieces. 10. The Akoya cultured pearl is the first round pearl that was cultured successfully. 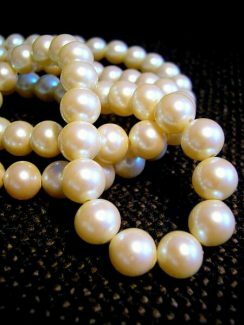 Akoya cultured pearls are known as the classic white pearls. They are true symbols of elegance and luxury. Throughout the years, they have been worn by the most respected women in modern society. As demand for these white gems was increased, the production process was perfected to deliver better and better Akoya pearls. Hanadama certified Akoya cultured pearls are the standard of quality on the jewelry market. We hope you have enjoyed our list of amazing facts about cultured pearls and that you now have a better idea of cultured pearl value. Make sure you explore the jewelry market and that you look for cultured pearls to find some very impressive pieces.